Sold by: Eastern Mountain Sports, Inc. 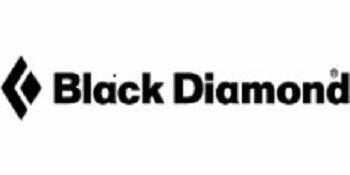 Since it foundation in 1989, everything at Black Diamond has revolved around climbing and skiing. What began with an anvil and a hammer in the backyard has now grown into a global company with offices on three continents. Here, adventurers produce and develop for adventurers. Since the company was founded, our innovative equipment designs have set standards in many areas. Thus Black Diamond creates a promising future for all climbers and skiers worldwide. A highly versatile, fully adjustable four-season pole built with premium materials and an ergonomically angled grip. 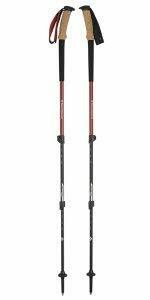 The Alpine Ergo Cork Trekking Pole is ideal for backpacking trips, winter touring and long hikes. The Alpine Ergo Cork features an angled wicking cork grip for maximized comfort, and also features a durable padded wrist strap. One aluminum and two carbon fiber shafts offer quick and secure length changes thanks to dual Flicklock Pro adjustability. The Black Diamond Trail Ergo Cork offers comprehensive adjustment options and a hard-wearing design. 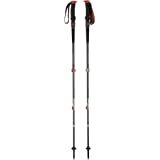 This powerful pole is suitable for short day trips up to trekking tours lasting several days in Nepal. With the two Flicklock pro closures, the pole can be quickly and safely adjusted to different conditions. The dual-density handle and padded hand loops as well as a foam handle extension enable user-friendly handling at any time of the year. 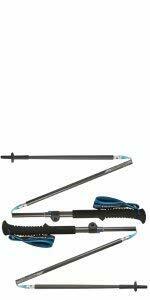 The included Trekking and Snow baskets makes the trekking pole usable all year round. FlickLock Pro is the evolution of our trusted FlickLock design. The benefits that made FlickLock the pole-locking mechanism on the market remain: it's secure, fast and easy to use. The FlickLock Pro's low-profile, stainless steel design, however, provides a dramatic improvement in quality, feel and clamping force. 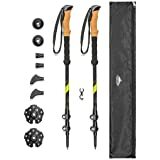 A highly versatile, fully adjustable four-season pole built with premium materials, the Black Diamond Alpine Carbon Trekking Pole handles alpine backpacking routes, mid-winter expeditions, and far-flung treks with ease. 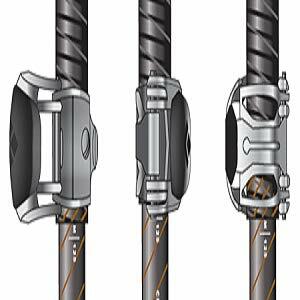 Three 100% carbon fiber shafts offer quick and secure length changes, thanks to dual FlickLock Pro adjustability. The comfortable wicking cork grip features a durable padded wrist strap and a non-slip EVA extension for quick choke-ups on steep terrain. Two kinds of baskets and interchangeable Tech Tips allow you to switch between carbide and rubber tips to account for changing trail surfaces. 5.0 out of 5 starsThe Flick Lock Pro is Back! 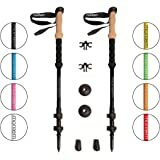 Prominent backpacker, author, outdoor enthusiast, and CDT/PCT/AT/other thru hiker Andrew Skurka recommends these as "the only collapsible trekking poles worth buying". I'm inclined to trust him. 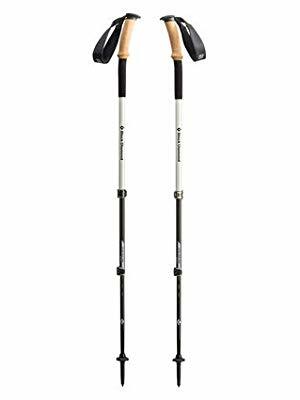 They're not the lightest poles on the market (though they're extremely light), but if you need trekking poles, and you want them to be collapsible, these are the ones to get. 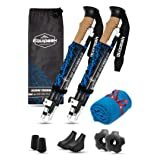 According to Black Diamond, they had a supply chain issue, and the Carbon Cork trekking poles with "Flick Lock Pro" locking mechanisms were shipped in limited quantities only to REI. 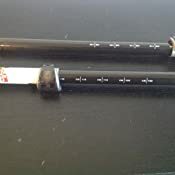 During this time, other sellers like Amazon and Black Diamond themselves stocked a version with inferior plastic flick locks which according to Amazon reviews were plagued with issues. The issue has apparently been fixed, and I'm so glad I waited - the metal flick locks on this model are superior. Do yourself a favor and don't go with twist lock poles - the locking mechanism just doesn't work as well and they'll slip on you. A readjustment every once in awhile to get them back to the height you want them might seem OK, but at the end of the day you're trusting these things to support your weight and slippage from inferior locking mechanisms is a safety issue (not to mention how difficult they can be to adjust with sweaty hands). To me, it's worth spending the extra coin for flick locks, and these poles are the best on the market. 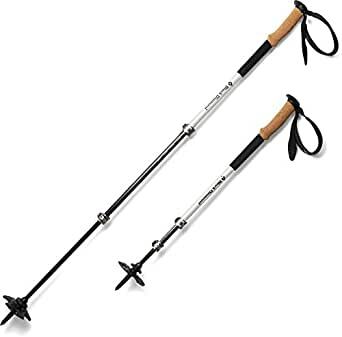 This pair of poles weighs 1lb 2.6oz on my kitchen scale, which is a small weight price to pay if you're somebody who needs (due to bad knees) or likes (due to them making you feel more like a four-legged animal on the trail) trekking poles. Worth the buy. 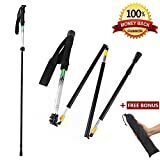 Really good trekking poles, sturdy, durable, comfy grip -I really gave them a full test first time around on 3day mountain terrain with heavy load and they did just fine. I was not careful with them at all. One odd thing as others have already pointed out is the design of collapse on this poles. You cannot secure them when they are fully collapsed, which means those metal fasteners just open up and stick out. 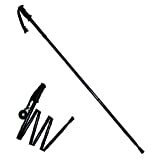 They do fully clip when poles are not fully collapsed, but it adds an extra 10-15cm to their length from what was specified on Blackdiamond website. 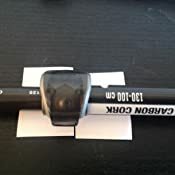 This became a problem when packing small to transport on the plane and a bit annoying when you have to repack and those clips just open up any time (and could potentially rip something or get damaged). Had to carry duck tape on me to ensure they could stay closed by taping them up. This is a design fault and I hope blackdiamond will fix it. Hence I took one star off the product. Otherwise they are great poles. 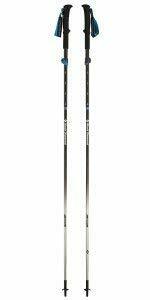 5.0 out of 5 starsBest poles ever! These poles are the best I've used by far. So good that I'm going to be buying them again. Unfortunately one of them broke in half after a rock the size of a microwave fell on it when descending a scree field from hell. That's not a complaint at all though, as I would have expected any pole to break after being hit by a rock that size. I was honestly surprised these lasted through all of the other things I put them through. 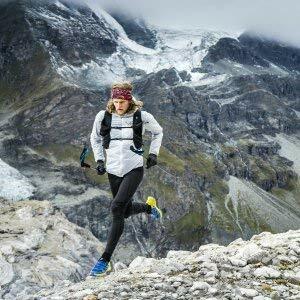 Fording rivers, hiking through boulder and scree fields, and even with glacier mountaineering. These are extremely tough. There were plenty of scenarios where I was shocked that I didn't break them, but they stood up to it. 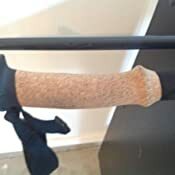 The cork grips are extremely comfortable and even though my hands would be sweaty the cork dried quickly and I never really felt it. The FlickLock Pro mechanism makes adjusting these super easy, and it's nice to be able to adjust how tight of a lock there is. Makes it super easy for changing the length for ascent and descent. The carbide tips are super grippy. I was quite surprised at how well they gripped rock, even when applying pressure on more sloped rock they never slipped. The snow baskets work great on snow of course and make these poles ready for all conditions. The wrist straps are extremely comfortable and I actually found myself mostly relying on the down pressure of the straps to keep my hands sturdy on the poles. 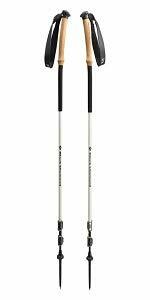 They're quite easy to adjust too which is a must on a good set of poles. 5.0 out of 5 starsPrice Worth the long term investment. Really happy with the purchase. Bought this quality set as an investment for many years of walks. Solid construction with metal clasps. Locking mechanism secures the length very firmly and I am 100% confident it will hold. Extends to 130 but being 5'9" I have at 120. Mine came with carbide tips and after 20 miles they still look perfect. I did order an extra set of tips just to be safe and I would put a dab of blue threadlocker to hold them when I have a need to switch. Original tips are very secure so don't see me losing. The poles come with the larger snow things :) but I don't plan on using and will just keep the smaller ones on that came on the poles. 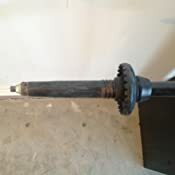 The bottom of the poles have the part that will purposely break off onstead of ruining the pole. All sections are clearly marked with length. Cork handles are very comfortable. I am using with gloves due to time of year. High price but worth it to me. Happy trails. 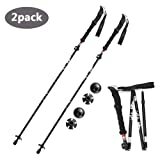 Just returned my second order to Amazon on these trekking poles. On both pairs, one of the plastic flick lock covers on the lower end of the poles was broken, right out of the box. After doing some research, this appears to be a very common problem, therefore a common complaint. I've written Black Diamond about this and will update this post when and if I receive an answer. I don't see how just replacing the broken covers will solve the underlying design problem. 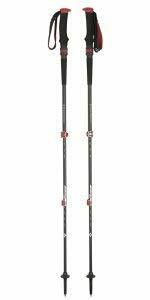 Until then, I won't be buying Black Diamond trekking poles. Scratching my head wondering why this hasn't been fixed. 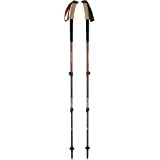 I have used these poles on a couple occasions since I received them and they've been fantastic both times I've used them. I hurt my knee near the top of a 4000ft elevation climb and relied on these poles supporting my weight on a difficult climb back to them bottom. They were comfortable and durable the entire time. I'm thankful I had these available and I would recommend them to anybody. 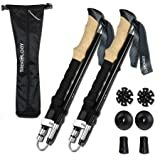 They're lightweight, the locking mechanisms are secure, and I bought them from Amazon for a better price than you will find at REI or Cabela's.